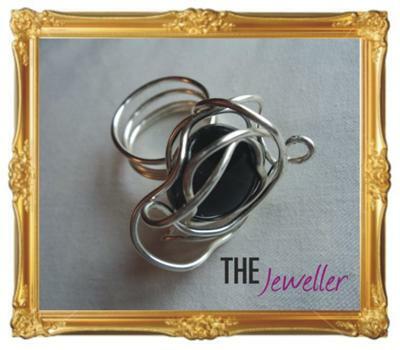 This ring was made of silver plated wire wrapped around an uncut black agate. No additional findings were used in handcrafting this ring but raw materials (wire and the semiprecious stone). This ring was made in Romania.